MOSCOW (Sputnik) - Russia should be concerned by the calls of US Chief of Naval Operations Adm. John Richardson to go on an offensive against Moscow and Beijing, Chairman of the Foreign Affairs Committee of the Russian upper house Konstantin Kosachev has stated. 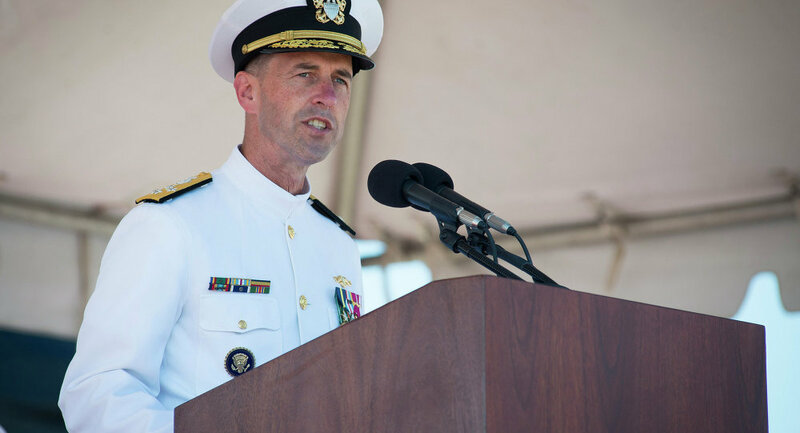 "I would not regard the bravado of Chief of the Naval Operations of the US Navy Adm. John Richardson, who called for an ‘offensive,’ to show ‘more aggression' against Moscow and Beijing and generally ‘push first’ as another stupidity of another US military man. First, it is a high-ranking representative of the most powerful army in the world. Secondly, no one has disavowed his words yet", Kosachev wrote on Facebook. "Impunity" encourages Washington to continue making such aggressive statements, according to the senior lawmaker. The statement comes after Richardson said at the Atlantic Council on Wednesday that the US Navy had to "push first in a couple of areas" and force Russia and China to respond to the US moves instead of responding to any aggressive move by Moscow and Beijing. Russia-US relations, which have long been tense, have recently deteriorated further due to Washington's suspension of its obligations under the Intermediate-Range Nuclear Forces Treaty over Russia's alleged violations, which have repeatedly been denied by Moscow.